The JSON versions of the Doctrine & Covenants and the Pearl of Great Price are now available. 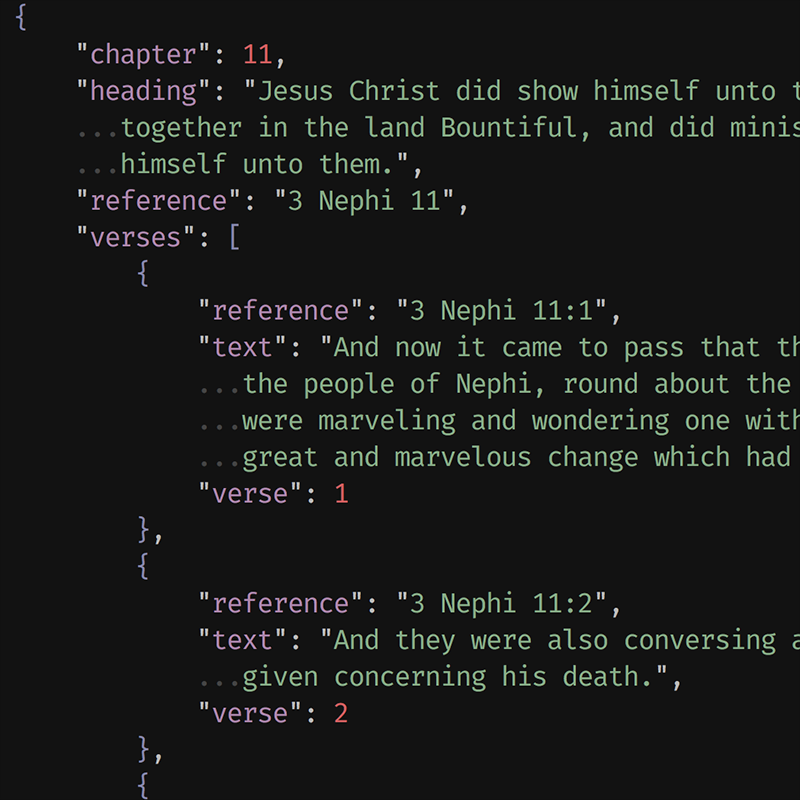 With the D&C, I opted to use section instead of chapter, which does mean a little inconsistency for scripts that use these JSON files, but it seemed better to be consistent with the source material. Old and New Testaments forthcoming.